It’s worth looking back to 2010 and 2014 Republican primaries as former congressman and two-time gubernatorial candidate Tom Tancredo gets into the crowded 2018 Republican governor’s race. In both years, Democratic interests spent money to target Republicans during the primaries. In 2010, that targeting helped Tancredo. In 2014, it hurt him. The Democratic Governors Association, unions and philanthropist Pat Stryker were among those who donated to the Colorado Freedom Fund in 2010. That committee spent more than $500,000 on advertising attacking perceived Republican gubernatorial frontrunner and former congressman Scott McInnis. The ads criticized McInnis for plagiarizing a series of papers on water policy. McInnis lost to first-time candidate Dan Maes by 5,150 votes in that August primary. 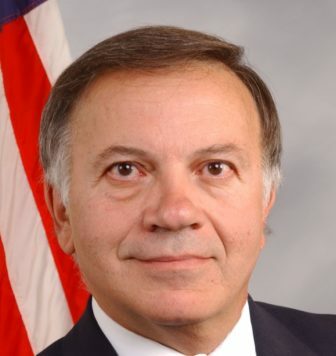 Tancredo entered the contest as a candidate of the American Constitution Party, finishing second to Democrat John Hickenlooper, who received 51 percent of the vote. But Tancredo received 36 percent of the vote, compared with 11 percent for Maes. At the time, political observers deemed the Democratic money well-spent by helping Maes win the nomination. Four years later, the DGA got behind Protect Colorado Values. That committee spent $567,000 on TV, radio and digital ads, as well as mailers and phone calls attacking both Tancredo and former U.S. Rep. Bob Beauprez. Beauprez won the nomination with 13,503 more votes than second-place finisher Tancredo, even though the ads appeared to be aimed at encouraging Republicans to choose Tancredo. But he lost to Hickenlooper by more than 68,000 votes. Will the Democratic Governors Association try to help out Tancredo again in the 2018 primary? First, the nine declared Republican candidates and five Democratic candidates must make the June 26 primary ballot, either by going through Colorado’s caucus and state assembly process or by gathering petition signatures from each of the state’s seven congressional district. A maximum of three candidates can make the ballot via the caucus route, which requires 30 percent of state assembly delegate support. It’s unlikely all these candidates will make the ballot. And there may be more candidates who decide to run before the March caucuses. Also, next year’s primary contests will no longer involve just the Republican or Democratic base. Unaffiliated voters will be able to vote in either party’s primary, potentially diluting the potency of the conservative GOP base. That could also dilute efforts by Democrats to influence Republican voters.